June 16, 2017 June 14, 2017 by Beau H.
We’re here on the cusp of another weekend — and the start of another Friday Read — here at ye olde Style Guide. Can you believe June is flying by? And we’ve got a big weekend coming up, too — it’s Father’s Day, after all! But more on that in a bit. It’s certainly been a momentous summer here already, what with my weekend trip to see The Killers in New Jersey, preceded by a joyous weekend of live music at Governors Ball 2017 and then a Memorial Day weekend trip to Florida before that. And if you can believe it, I’m on the road yet again this weekend — my travels are taking me South to lovely (and sweltering) Charleston for a family wedding. I’ll of course be doing my best to dress in style for a summer wedding — that means wearable, breathable staples like a classic navy blazer and stylish leather loafers, for starters. In addition to getting dolled up for the occasion, I’m also looking forward to catching up with family and spending some quality time with my own dad. On that front, I do hope your Father’s Day shopping is going (or went) smoothly — and if you’re in need of some last-minute Father’s Day gifts, I’d highly suggest you check out the gift guide we pulled together last week. And if you’re still in search of a few other ideas? I’ve assembled my favorite quick #menswear picks below. Enjoy the weekend, enjoy tomorrow’s Style Pick of the Week and enjoy Father’s Day! I’ll be recapping my trip to Charleston on Monday, and you can follow along on Instagram the whole way through. As I said above, time is ticking away very quickly indeed to buy that great Father’s Day gift — right? If you’ve got a dad who loves either stylish sneakers or the finer things in life (a handsome pen, anyone? ), shop these quick hits below. From CrossPens: The Peerless TrackR Quartz Blue Ballpoint Pen is a smooth-writing, sharp-looking pen that’ll never get lost, thanks to its technologically savvy tracking capability. From Filson: Father’s Day Gift GuideWhile the brand excels at making many types of rugged, durable and hard-wearing gear, I’m a big fan of several picks within the brand’s , geared toward an outdoors-loving dad. From TOMS: Didn’t think TOMS could make something fit for the sneaker-loving dad? Think again, because the TOMS Del Rey Sneaker features a simple, wearable silhouette that your dad might — no, will — enjoy pairing with stylish light wash denim this summer. Does it feel too early to be thinking about rugged style for fall? The thermostat might read full-on summer in your neck of the woods, but Taylor Stitch knows that it’ll be time to crunch leaves underfoot and head out on weekend coffee dates galore before you know it. That’s why you should certainly look into ordering the Taylor Stitch Chore Jacket from the Taylor Stitch Good Acre Collection — I covered it recently for GearMoose, and it’s very worthy of your time. In the way of other Father’s Day gifts, if you find yourself in the Los Angeles area, you’d do well to stop by the Sportie LA shop — the shop has teamed up with “Cars 3” to showcase and sell a series of collaborative merchandise from Style Guide favorites like Richer Poorer. The colors and styles are inspired by the film itself, making it potentially perfect for a little family outing (and if you go, you’ll find the shop at 7763 Melrose Ave. in Los Angeles). And before we let you go for the weekend, I’m going to remind you one last time about two stylish shopping hints for ya. Namely, we’re mixing menswear, home goods and accessories in my Style Guide Father’s Day gift guide — it’ll help tremendously if you haven’t given it a read! Lastly, the great team at Style Girlfriend — a site you should definitely be reading — tells you via Cool Material exactly what your girlfriend wants you to wear. Helpful tips, indeed! That’ll round out this week’s take on the Friday Read — join us again tomorrow for a healthy weekend helping of #menswear, and catch my full travel style recap forthcoming on Monday. June 9, 2017 June 9, 2017 by Beau H.
Folks, Happy Friday and welcome again to the latest Friday Read here on The Style Guide. We’re capping off an incredibly busy week — as it were, we published our guide on what to buy for Father’s Day (and by we, I mean me!). And did you catch my post on Governors Ball 2017 this past weekend covering the #menswear I brought with me? It was a rollicking, rocking good time, without a doubt. And if you can believe it, the live music continues through the coming weekend — notably, I’m trekking to the fine cities of Philly and Camden (that’s New Jersey) for the Radio 104.5 Birthday Celebration! That’s right — the one-day mini-fest featuring the likes of Bleachers, Foster the People and … The Killers! You can look for a full recap in that regard on Monday — I’m wildly excited for a great weekend, and you can follow along with all the action on Instagram or Twitter. For now, dive into a quick recap of the week in men’s style. OK, let’s talk about your everyday carry. Namely, what you might (or might not) be using to carry your laptop around. In that department, I wrote about the 25 best laptop bags for men over at GearMoose. Shop away! So, if your dad needs a style upgrade for the gym this Father’s Day, I’d urge you to check out Fourlaps Apparel. It’s athletic apparel for the active dad who doesn’t want to look like a total slob. With bright, bold colors and blocked stripes, it’s a bit of retro style and a lot of sporty functionality for the dad who loves to hit the gym (or just hang out in a nice pair of shorts). In the way of gifts for the dad who’s got everything, check out the stellar, jam-packed Swanson Box from UrbanStems for Father’s Day, positively packed with all the goodies Dad will love — that includes gourmet treats like barrel-aged chocolate and fine coffee. It’s a winner all the way through — right? While we’re talking Father’s Day, I put together a handy roundup covering what to buy for the stylish dad — from a handsome watch to beautiful Allen Edmonds Chelsea boots, you can find plenty of fashionable picks. OK, y’all — we’re keeping it short this week. Join us tomorrow for our Style Pick of the Week, and enjoy Friday in the meantime! June 8, 2016 June 8, 2016 by Beau H.
Editor’s note: Click through to peruse more gift suggestions for Dad. Here at The Style Guide, we love our gift guides. Just as we had you covered with Mother’s Day gifts, so too are we doing the same thing for Father’s Day this year with our (read: my) picks for the best gifts for Dad. Shopping for an occasion like this calls that you recognize the father figure in your life for all that they’ve done for you, and a token of appreciation is just one way to do that. I know that I’m grateful as heck for my own father — his advice, support, encouragement and life approach are things that really have changed my life, and I wouldn’t be where I am without him! So it goes without saying that I hope to provide a gift that offers at least some of that back. And that should (ideally) be your goal, too. As budgets can get tight this time of year, we’ll try to keep everything within reason (or at least let you know why some pieces are investment-worthy). Does your recipient have a favorite hobby? That’s what we’ve targeted below, too. Read on, shop on and let me know if I missed any picks over on Twitter! Just the sort of hoodie your Dad could use — upgraded, premium and stylish. 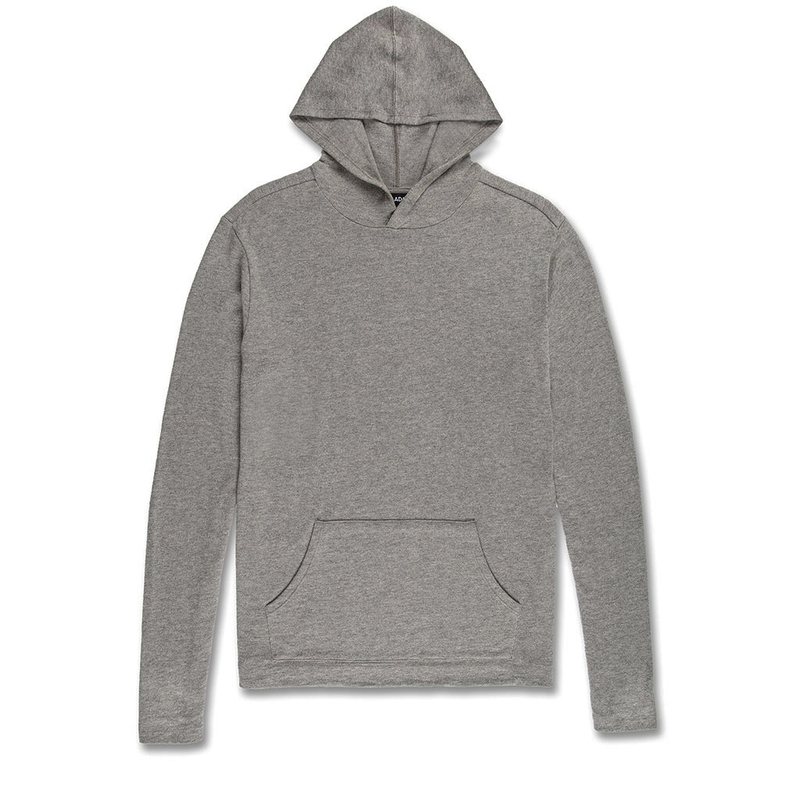 A hooded sweatshirt for $100? Oh, yes. As is a constant theme here on The Style Guide, making small upgrades to your everyday style should be a goal for all of us. And if your dad still has that beloved old college hoodie, perhaps this Naadam cotton cashmere sweater is a better update to his weekend wardrobe. Plus, it’s made ethically with Peruvian Pima cotton, so you know it’ll fit well and feel fantastic. Not too dressy, not too casual — just right. Very well-made, very sharp and very appropriate for Dad. Building an essential watch collection is something that takes time (pun intended), but can often be pretty enjoyable — especially if you’ve got a neat case in which to store all those watches. If your recipient already has a dependable casual watch or perhaps even a dive watch, providing a change of pace is in order. 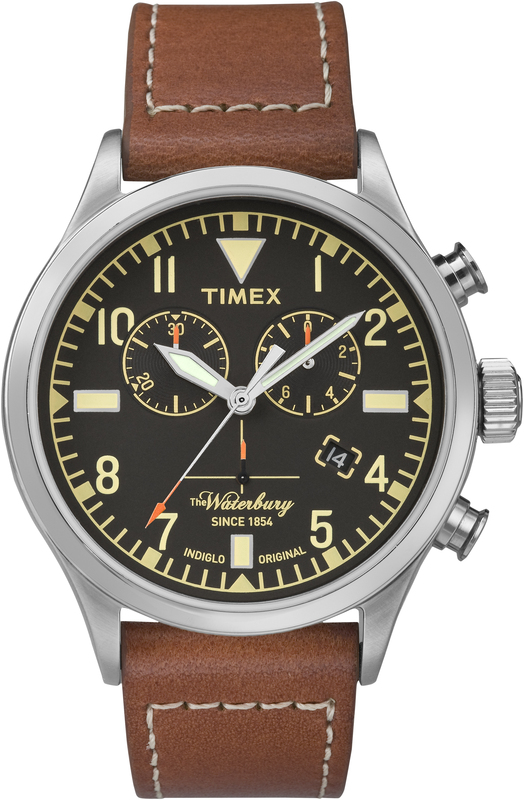 The stellar, rugged and refined Timex x Red Wing Waterbury Chrono (as previously covered on this site’s Style Pick of the Week series) is just the ticket, built with a thicker 42mm case diameter, a ridiculously tough Red Wing leather strap and all sorts of styling potential. For the guy who likes his coffee gourmet and on-the-go. Another pricey piece on this list, but one that’s definitely worth the investment — especially if your dad is into extraordinarily nice coffee. 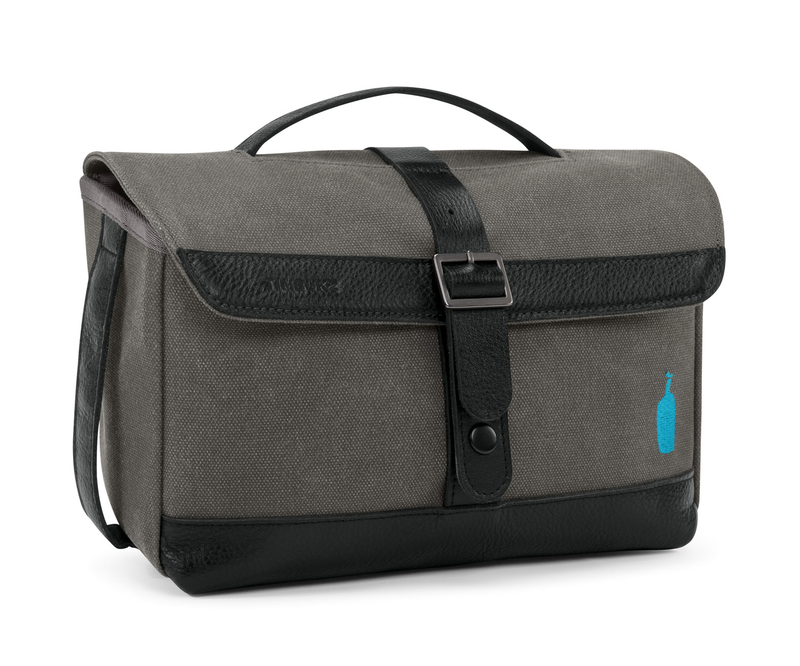 The waxed canvas Weekender Travel Kit from the good folks at Timbuk2 and Blue Bottle is packed chock-full of coffee essentials, including a sample of Blue Bottle’s delicious coffee, a Porlex Mini Hand Grinder, a travel dripper, two tumblers and a pack of compostable filters. The collaboration’s adage, “Brew Where You Are,” has never felt more fitting — it’ll be especially useful if you’re hitting the road in style this summer. Taking the classic polo and changing up the color and construction. A crisp, stylish summer polo is a definite go-to whether you’re a dad or not, so it only makes sense that prep style masters Johnnie-O deliver once again. The Original Four-Button Polo is an easy choice in this regard — the cotton jersey construction should be lightweight and breathable, the chest pocket and (small) logo add a bit of visual interest, and the Arctic color is a bit more subdued than stark white. And the best part? It’s not an athletic polo, and that means it can be worn off the links, too. 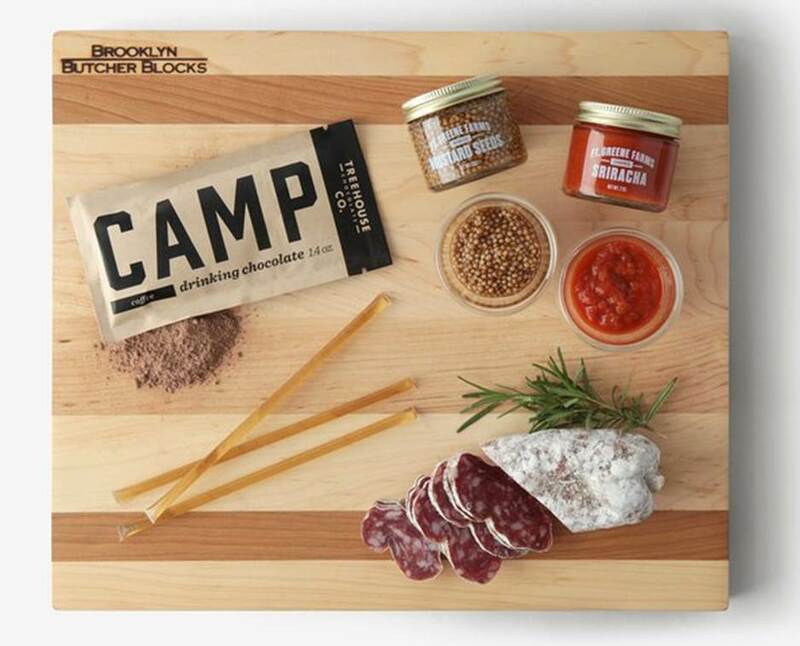 Just about everything a gourmet foodie could want — including a seriously tough cutting board. Now, a box option from Bespoke Post made last year’s Father’s Day gift guide, but the brand’s smartly curated, downright useful boxes get a lot of things right for a lot of guys. Case in point — The Butcher Box features just about everything Dad might need to cook up a hearty meal (or two, or three…). We’re talking an edge-grain butcher block, your choice of gourmet meat or vegetables, and other trappings like premium Sriracha sauce and mustard seeds. Is your mouth watering yet? Even when shopping for someone besides yourself, it’s best to step into their shoes and get something that syncs up with their interests — heck, I’d be psyched to get any one of the items on this list. And you might be able to pick up a little something extra along the way as a, y’know, reward for a shopping job well-done. Of course, essentials like a great book are always welcomed, and customizable gifts can’t go amiss either. For rugged-yet-refined menswear accessories, I’d also recommend Owen & Fred’s extremely well-curated selection. You simply can’t go wrong. What will you be getting Dad this year? Let me know how it works out in the comments below!